First off... Thank You and its all about trial, error and a mix of ratchet sewing techniques. 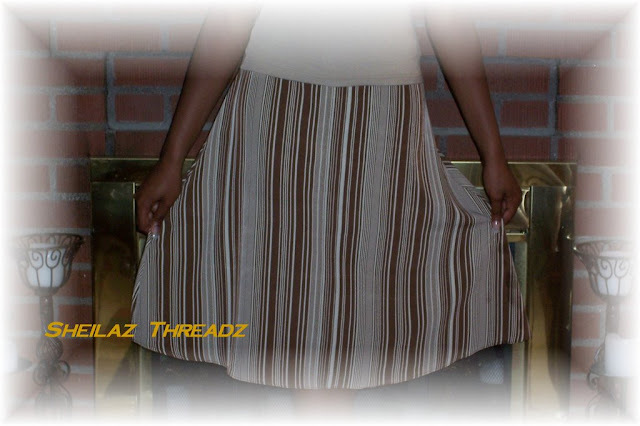 I've been sewing garments 9 years now and have and continue to learn as I forge ahead in the joys of sewing. Prior to venturing into sewing garments, I crocheted heavily and my sewing past time was embellishing rtw garments. 20+ years ago, I did a lot of socializing/attending a lot of events and my go to spot for event garments was the garment district a/k/a sample sale items. With that I spent a many days in MJ Trimming, buying all sorts of notions to make my rtw garments unique. Another favorite past time was sewing home dec.... curtains, duvet covers, pillows.. you know the run of decor gamut. 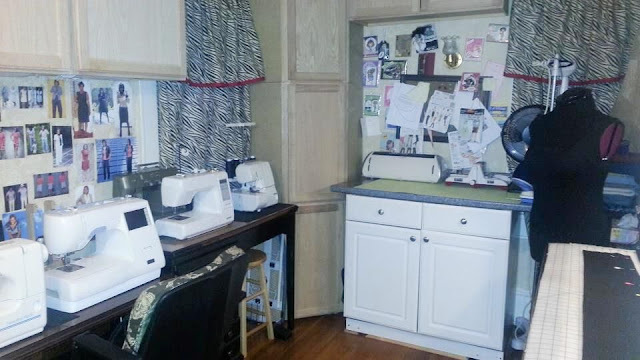 What I will say is, there was a big learning curve from home decor sewing to garment sewing and had pinched myself numerous times over whether sewing garments was worth it. 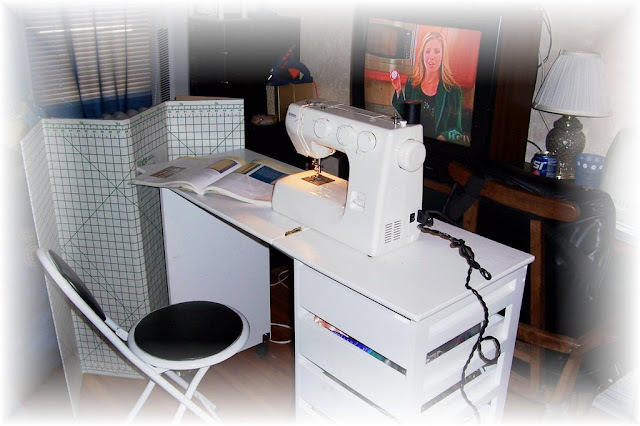 However, I pressed on... investing in sewing dvds, reference books, later on learning from sewing bloggers, sewing sites and of course through trial and error. Of course, I needed a place to focus and took over a guest room and set up a lil work space. What have I learned and continue to learn over the last 9 years is that I aspire to fit comfortably, not spend an exorbitant amount of time on perfect fit.... tried it and ended up over fitting. My usual day up, out and about is a 12hr day and over my sewing years learned I need to be comfortable. Despite knowing that, had the audacity & wore a garment or two that was over fitted and let me tell you, I was miserable.... miserable I tell you. One of the garments were pants, the first wear was ok... then again I didn't know from anything, and I was just too excited about sewing them. However, with the second wear, the zipper broke ... and finally realizing I did not have enough sitting ease. I was not a happy camper. With a few years of sewing under my belt and of course wadders along the way and sure they will continue, I aspire to fit comfortably. Every once in a while, I will do a muslin, but for the most part, my modus operandi is tissue fitting and continue fit as I sew. What I strive to achieve is a comfortable fit that will sustain me throughout the day, as well as over time. Therefore, I do not fuss and scream over every diagonal line and horizontal line, for me its all about simple styles, ease and comfort. In conclusion, I am always learning and each garment teaches me what I should and shouldn't do with the next one. I agree. Comfort is everything. No matter how well it is sewn, if it is not comfortable, it's no better than a wadder. I like your sewing philosophy. Thank you Robin ! I am always up for learning new & improved sewing techniques, but if I encounter sewing issues, my modus operandi is make it work. If that fails, then to waderville it goes. OMG we are "kindred spirits!! I truly believe comfort is key to any piece! If fit is perfect and the piece is uncomfortable, you won't wear it! 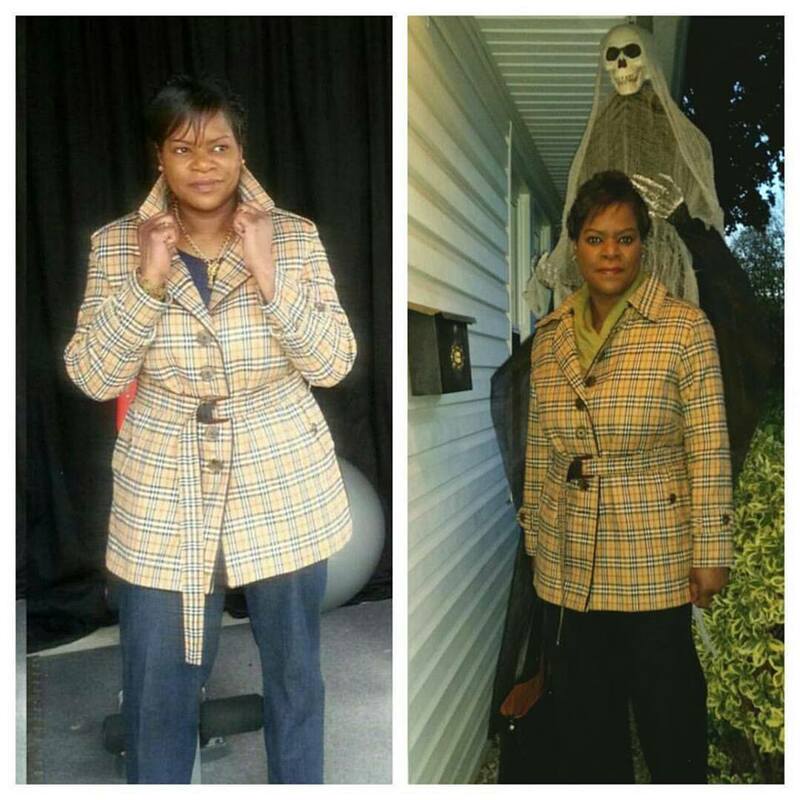 Great post Ms. Sheila! However, some would say if the fit is perfect, it will be comfortable...so are we saying the same thing essentially? I agree with you...comfort is everything! I am definitely at the beginning stages of learning how to fit for my body, but one thing I know is that I don't want to sew anything that is too "exact" on me. I need to be comfortable sitting at the office! Loved seeing the evolution of your sewing space! Especially your fleet of machines!! Thank you Myra ! I have learned a lot from others, reference books & dvds, but also learned that a melting pot of a lil of this & a lil of that helps me achieve the ultimate goal. I still feel I am at the beginning of fitting my body. However, I am a lil closer to fitting now than earlier. I am notorious with darts, to make it work... add darts for shaping, blend sizes, even better, I will cut the back in one size and the front in another. .. it works. Thank you Kyle ! I laugh now at my lil makeshift set up. Actually I am in the process of moving to another room with lil more space, just need to box up stuff and eventually move in. I totally agree with you...comfort is the key to any successful garment. I try to stay away from pant fitting, because I can tweak a pant to death! It is so true about the amount of ease one is comfortable with, and I found that out by measuring clothes that I am comfortable wearing and transfer that to whatever I am intending to sew. Great job on your coat, too! Thank you Enid ! After a few pant sewing debacles, I finally settled on using one of my good fitting rtw pants to help me get a comfortable fit. Great post! I agree, if its not comfortable, it's time wasted sewing it! Thank you Norie ! You're so right.